The world became obsessed with data and its analysis, we figure, sometime around the 2008 U.S. presidential election. For people who stumbled upon Nate Silver's fivethirtyeight.com, the election became a curious contest of data and statistics versus the presumed wisdom of television anchors and newspaper columnists. Silver and his data were right on nearly all counts. Politics was just the latest field to be affected by the data-statistics deluge. Baseball, of course, had already been thoroughly invaded by so-called Sabermetricians, who measured a player's worth not with the conventional stats from the backsides of baseball cards, but by arcane metrics that more accurately predicted success on the field. By 2008, Wall Street, too, was in complete revolution, its human traders rendered impotent against hordes of data-ingesting algorithms. More and more fields, some of them seemingly out of the reach of automated sorting, such as wine, music and psychology, have seen assumptions and conventions by data and algorithms. What we're trying to do at Zrankings is bring the truth of data to fields that would seem incompatible with such quantification. Ranking ski resorts by data isn't the pure science that grading Major-League level baseball players can be. One thousand acres of terrain, or 1,000 feet of vertical drop, can mean very different things in different places. Same goes for statistics that would seemingly translate well, like snowfall, for instance. Four hundred inches of snow can be fantastic. But we need to know: just how consistent is that snow? If the average is 400 inches, what's the standard deviation? How much better and, more importantly, how much worse, can things get than 400 inches? And just what is that snow made of? It it usually dry and fluffy? Or can it often be wet and heavy? We investigate all of these things. To measure the seemingly immeasurable, we've ingested gobs of historical weather data, and every last measurable detail on 220 North American resorts. From there, we've developed our own metrics and an algorithm that calculates what we call the Pure Awesomeness Factor. When you ski, whether you're looking for a family-friendly spot, the best snow, or the best mix of expert terrain and conditions, you're looking for Awesome. ZRankings helps you find Awesome better than anybody else. A fresh engineering graduate from the Univerisity of Illinois in 1999, Steiner decided to put his degree to good use by ski-bumming in Utah. After his first winter, Steiner got a "real job" at a Park City engineering firm that built ski resorts, modeled avalanche potential for developments and terrain throughout the West, and designed many of the alpine venues for the 2002 Olympic Winter Games. Steiner later followed a passion for writing to a different career tact, working as a staff writer at his hometown Chicago Tribune and, later, covering technology and, yes, skiing, for Forbes magazine. See Steiner explain algorithms, the power behind ZRankings, on The Colbert Report. Steiner created Forbes' first ski resort rankings, now the most-read on the web, six years ago, using a set of data that now reaches across 220 North American resorts and forms the backbone of Zrankings. A New York Times Bestselling Author, Steiner has written two books, the most recent of which, Automate This, How Algorithms Came To Rule The World , was published in 2013 by Penguin. Steiner's writing has appeared in Forbes, the Chicago Tribune, The Wall Street Journal, Fast Company, Discover magazine, Skiing Magazine, The New York Times, The Guardian of London, Reuters, Freeskier magazine, MIT Technology Review, USA Today, and Popular Science, among others. In addition to Illinois, Steiner is an alumnus of Northwestern University and the tech accelerator Y-Combinator. He was a cofounder and co-CEO of Aisle50, which raised $6 million in venture capital from Y Combinator, August Capital and Origin Ventures. Aisle50 was acquired by Groupon in February 2015. In addition to running ZRankings, Steiner is an entrepreneur in residence at Northwestern University's on-campus accelerator, The Garage. He does his best coding and writing early in the morning, before children tend to wake up. Catch Christopher on Twitter here. A deft jazz pianist, Conway parlayed his knack for playing and teaching music with his engineering background to found ClassBug, a SaaS offering for gyms, dance studios, yoga centers and all institutions that manage disparate groups of students, customers, classes, teachers and instructors. A cook of some renown, Conway won a cooking contest judged by ABC's Brian Malarkey of The Taste and Top Chef champion Stephanie Izard. Among other things, he is responsible for any scallop sauteing that goes on at ZRankings. 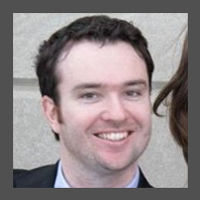 His specialties: Allagash butter sauce and bootstrap overrides. Conway excels when the light grows thin and the hour late; he codes, plays music and writes while the rest of Lincoln Square, and his daughter, sleeps. Crocker has been collecting snowfall statistics from North America’s ski areas since 1991. This monthly data, which goes back to the mid-1970’s for many areas and even the late 1960’s for a few, was used as the basis for the October 1995 Powder Magazine cover story The Powder Guide to Powder. In 1996 Crocker transferred this feature to his website BestSnow.net and has updated and expanded the information since then. He joined North American Snowsports Journalist Association in 1999 and won the Harold Hirsch Award for Internet Writing in 2008. Crocker attended Princeton, earning a degree in statistics. He then returned to California to begin a actuarial career. Skiing at Mammoth Mountain became a hobby, then an obsession. Pining for a quantitative take on skiing, Crocker made collecting, curating and analyzing snow data a serious pastime. Crocker retired from his actuary job in 2010 and skied 143 days in his first 21 consecutive months of retirement, highlighted by the Ice Axe Expeditions ski mountaineering cruise to Antarctica in 2011. Yes, the rest of us are jealous. 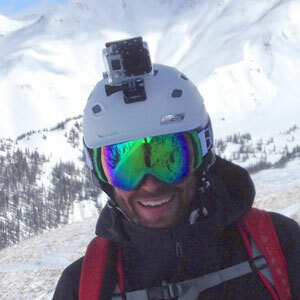 Crocker keeps track of every place he has ever skied (182 areas), how many days (1169 as of July 2013), how many vertical feet (22.3 million), and what the snow conditions and weather were like. 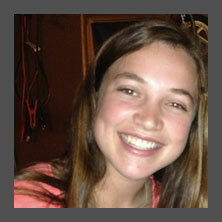 Leah comes to ZRankings via the North Shore of Chicago and the English department of Carleton College in Minnesota. Before slinging copy, jockeying excel sheets and querying databases at ZRankings, Leah edited the student newspaper at New Trier High School and was a reporter for the Wilmette Beacon. A true hound for facts, Leah is a trusted member of the ZRankings team. We've also come to trust her sense in pizza, as she's been known to walk seven miles through sand to get her favorite pie. An ultimate frisbee pro, Leah anchors the Carleton College squad, which, among other things, dominates all of the Nordic-named schools from around the rest of Minnesota. We'd be remiss to not mention that, more than once, other ZRankings' team members have found themselves on a beach without a kayak and Leah has generously contributed her own boat to the cause. She did not offer to paddle, however. Leah finds coffee from Keurig machines to be acutely distasteful, a trait we consider to be a highly positive indicator of overall character. Dr. Penk, a distinguished pediatric cardiologist at Lurie Children's Hospital in Chicago, has been facing down death on the slopes for more than 25 years. He cut his teeth on a pair of 1970s Olins and 30 inches of powder in Michigan's Upper Peninsula and he's been charging hard ever since. Penk derives great pleasure from hucking cliffs, rocks and bumps of any size, be they three stories or three inches. His enthusiasm for the sport infects all of those around him—he has been known to lead the Jackson Hole tram in singing 1980s pop music at full throttle. He prefers brown liquor to clear liquor, and bourbon over Scotch, but he'll take whatever is poured, be it rye, sherry, brandy, cognac, vodka or port, as long as there's snow on the ground and skiing in the schedule.  He has been a faithful contributor to ZRankings since its inception, and the greater good since his inception. When he's not skiing, he can be caught wrestling with one of his fat cats at home or contributing to an overseas mission for the Novick Cardiac Alliance. 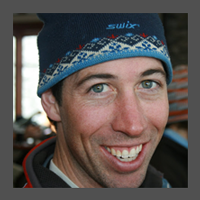 Penk holds a degree in biology from the University of Illinois at Urbana-Champaign; his medicine degree is from the Univesity of Iowa, from which he was known to drive all night to Colorado and put in a full day of skiing on arrival. First off, the guy has two first names. So when we talk about our staff, we can always stuff the envelope a little bit. Who's working on that? Oh yeah, it's Scott and Riley, both of them. They're really crushing it on this. Riley has been a long-time colloborator in building the Zrankings database. 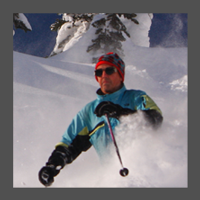 Zrankings will tackle PAF scores for European resorts next winter and Scott, having lived in France and Germany, with plenty of time logged in some place called Chamonix, is one of our leading planners on that. He was on a scouting mission in September of 2013 when we learned that, instead of skiing down the mountain in Jungfrau, Switzerland, he decided to run up it. He promised us this wouldn't happen again. When Scott's not working on his nordic form (he's shooting for a sponsorship from Swix) he's probably running in the woods, thinking about skiing. Scott is a co-founder at Aisle50 and spent time at SAP, where almost all of the executives secretly wish they were running Vail Resorts. He has a degree in computer engineering from the University of Dayton and an MBA from HEC Paris. The most celebrated ski writer of his generation, Les joined the ZRankings team in his greater search for powder and truth. Les has a long history in the ski industry. 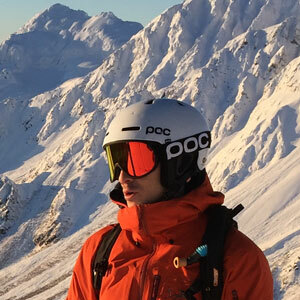 He's run ski resorts, he owned them, and most important for our purposes, he's skied more than 500 different resorts and slopes across four different continents. When you want intel on anywhere, even that little hill in your backyard, Les is the man who can guide you to a higher level experience. A registered mountain guide, Les is on the slopes 300 days out of the year. He's been everywhere you've been and everywhere you'll ever go. Heed his words. He will guide you to the right resort at the right time. Les holds a Ph.D. in Physics from the University of Illinois at Urbana-Champaign, and a BA degree in Germanic Languages from Northwestern University. He is a member of the American Association for the Advancement of Science. Pennington was one of a few present at a meeting in 1997, in the backwoods of the Upper Peninsula of Michigan, where the first planning for ZRankings took place. Snow buried the stop signs, and the front windows of many homes weren't visible behind the drifts piled six, eight, ten feet high. Only in a setting like this could the plan be devised. A master of many things, Pennington stands out for his expertise in crafting pizzas from scratch at altitude in kitchens unfit for baking boxed brownies. In addition to constructing dough wheels covered in tomatoes and cheese, Pennigton is a crack civil engineer. His geotechnical skills brought work on New York's Second Avenue Subway Line to life after a 80 years of fits and starts beneath eastern Manhattan. After setting New York on a path toward success, he headed to the other coast, it being in dire need of his tunnelling and skiing skills. Now ZRankings' man on-site for the mountains of the West Coast, Pennington is constantly performing spot checks on resorts from Big Bear all the way to Mt. Baker, his tall shadow an omnipresence to skiers who ply I-80 and California Routes 50 and 89 for their powder deliverance. In Europe, his mere glance once sent a group of Italians scurrying out of a bunk room they had claimed in a Swiss hut in the Alps. Pennington and the ZRankings crew slept fine that night. The Italians, forced outside, built a snowcave. The experience made them stronger, all parties agreed. 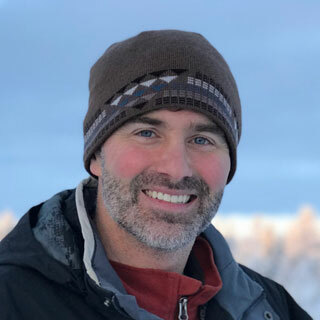 The primary ZRankings photographer, Pennington has shot skiing and surfing stories for national magazines from Chamomix to the North Coast of California. He holds a BS and MS in Civil Engineering from the University of Illinois Urbana-Champaign. Gompers is Zrankings' man in the East. 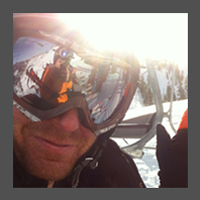 He's one of our expert voices on those climes that are icier, lower and unequaled in their passion for skiing. An uncanny knack for remembering every last geographic detail that's ever passed in front of his eyes landed Gompers in the National Geographic Bee as a finalist—twice. His knack for maps and geography helped us when building the algorithm scoring each resort for its access level for destination travelers. 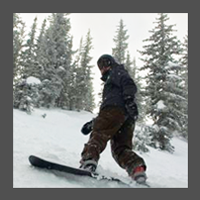 He's a snowboarder, but we put up with Gompers because he usually brings refreshments to company meetings and, after working in the gear industry for half a decade with REI, he's a really, really good guy to know (schwag town, people!). He's since taken his career into law and accounting, which fits perfectly with our data-centric evaluation processes. Before getting a job with a tie and working for REI, Gompers worked for the National Forest Service in the Lake Tahoe area, leading a crew that cleared brush from slopes that would otherwise act as fire kindling. While keeping the forests of Tahoe in order, Gompers did plenty of riding during Sierra winters, and he also lends us his expertise in California and Nevada. The PAF algorithm began as a method we used to best determine what ski resorts most deserved to be called the best. The results of this first manifested in the Forbes Top 10 Ski Resorts List two years ago. We improved the algorithm last year and re-released the rankings. More people than ever read the list; more people, in fact, read it than any other resort ranking list on the web. These newest rankings, our third set, reflect a big leap in both the data we sample and the ways our algorithm judges each factor. We went from displaying just the Top 10 -- we still do this, with more than 6,000 words of commentary and context, at Forbes -- to showing the scores at Zrankings.com for 221 resorts in North America, with complete rankings for the East, Midwest, West Coast, Canada and the Rockies, to go along with the overall rankings. We pull in data on more than 20 categories to calculate each resort's PAF score, including: vertical drop, vertical continuity, snow quantity, snow quality, snow consistency, acreage, lift system, ease of access, town ambience, trail makeup, and our own experts' input (that smidge we talk about). Know that you can weight certain factors yourself by using ZRankings' Perfect Ski Trip functionality. We've improved our methods each year we've done this. We expect and look forward to getting better still. The rankings are not perfect, but we do believe that we put more time against our rankings and system than anybody else, and we think it shows. ZRankings added Canada to its rankings in late 2014, completing the total ranking of North America. We are working on adding Europe and possiblt Japan—but getting our inspector/writer/skiers to all of the necessary spots takes time! Thank you for reading to the bottom of this page.